North Korea has dismissed accusations of torturing U.S. university student and said death of Otto Warmbier soon after his return home was "a mystery" to them as well. 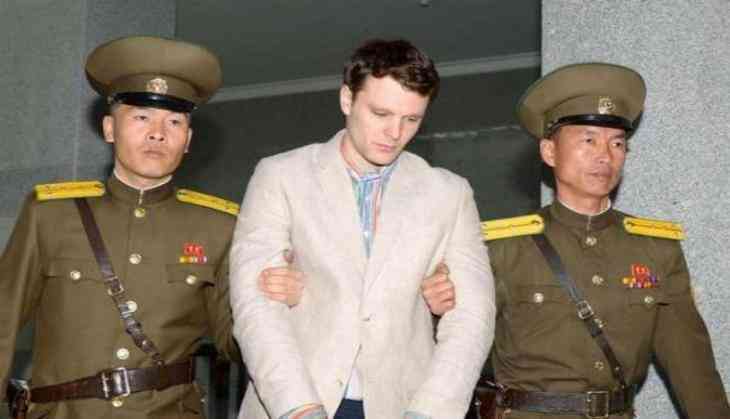 Pyongyang rebutted allegations by U.S. that Otto had died because of torture and beating during his captivity as "groundless." The North's foreign ministry spokesman also said in comments carried by the official KCNA agency that Warmbier was "a victim of the policy of strategic patience" of former U.S. president Barack Obama, whose government never requested his release. "The fact that Warmbier died suddenly in less than a week just after his return to the U.S. in his normal state of health indicators is a mystery to us as well," the spokesman was quoted by KCNA, as saying. Less than a week after returning to the United States after 17 months of detention in North Korea, his family announced Warmbier had "completed his journey home." The 22-year-old died on June 20 in Cincinnati, Ohio, with his family at his side. Otto died because of severe brain damage. Warmbier, 22, was arrested in the reclusive country while visiting as a tourist in January 2016. He was sentenced to 15 years of hard labour for trying to steal an item bearing a propaganda slogan from his hotel, North Korea state media said. The cause of Warmbier's death is not known, and his family objected to an autopsy. The North Korean Government said he fell into a coma after contracting botulism and taking a sleeping pill in March 2016. But U.S. doctors said they found no evidence of the illness. "Let us state the facts plainly: Otto Warmbier, an American citizen, was murdered by the Kim Jong Un regime," said U.S. Sen. John McCain, R-Arizona, CNN reported. While condoling the tragic death of college student Otto Warmbier, U.S. President Donald Trump condemned the "brutality of the North Korean regime." Last week, his treating physicians in Cincinnati said he suffered from unresponsive wakefulness, a condition also known as persistent vegetative state.